Along with the new D750 and new prime lens, Nikon also announced the release of Nikon SB-500 Speedlight. 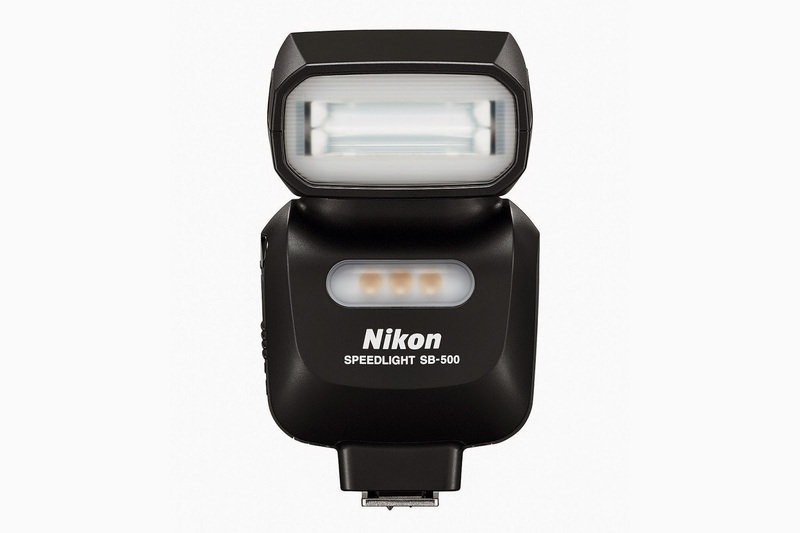 According to Nikon's press release, the SB-500 is an easy-to-use, compact and lightweight Speedlight that is equipped with high-performance LED light optimized for photography. SB-500 is optimized for use with cameras with the Nikon Creative Lighting System (CLS). It can work as a master flash unit and a remote flash unit with wireless multiple flash-unit photography. One of the good features of this speedlight is the built-in LED light. This LED light can be used as a small video light or even assist in acquiring focus in a low-light environments. The LED can be operated independently from flash which means you could detach the SB-500 from the camera and use the LED light exclusively if necessity arises. The compact and lightweight SB-500, weighs at 226g, is portable and easy to use as it is powered by two (2) AA batteries (alkaline and rechargeable Ni-MH). Flash head can be tilted up to 90 degrees and rotated horizontally up to 180 degrees to the left and right. This speedlight is equipped with a very bright LED light. At 100 lumens, this LED light provides optimal brightness for recording movies and photographing objects at close distances. SB-500 also supports the Flash Color Information Communication function built into Nikon D810 and D750 digital SLR cameras. The SB-500 supports six (6) functions available in Nikon Creative Lighting System (CLS) and Nikon's exclusive speedlight system.. It can be used either as a master flash unit or a remote flash unit with wireless flash-unit photography. SB-500 will be available in the market for with the price tag of around $ 250.00 MSRP which is way cheaper than the high-end SB-700. For full details of specs, please click here.